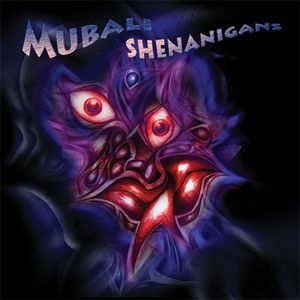 After numerous releases since his first album Mubali releases now his second album 'Shenanigans', a CD loaded with funked up psychedelic trance. With his second album Mubali aka Greg Farley takes his production skills up to the another level and gave his music an extremely funky rhythm with a topping of psychedelic sounds. Fat bass lines with a steady kick, sauced with pads and fx with the right magic mixture. The album is a story in 10 tracks and he is taking you through his music with crazy song titles like 'Funk in Ya Trunk' and 'Streaming Pile of Trippy', making you move your hiney on the dance floor. He also teamed up with Lauren and Bodhi for the production of 2 tracks on his album. Go go go !! Looking forward to this one ! !